Don’t try to change people. It’s a battle you’ll be sure to lose. 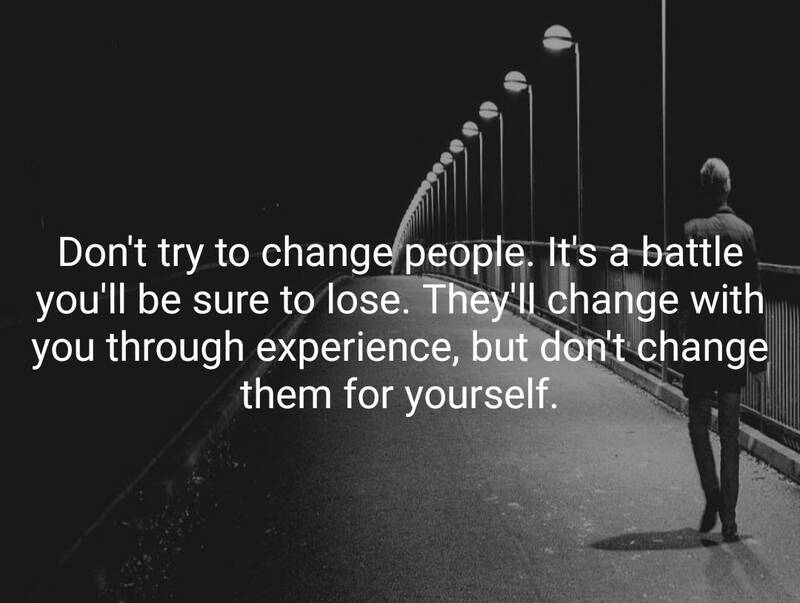 They’ll change with you through experience, but don’t change them for yourself.